in Syria on March 2011, 15 schoolchildren were arrested & reportedly tortured for writing anti-government graffiti on a wall. protests were peaceful to begin with, calling for the kids’ release, democracy and greater freedom for people in the country. the Syrian government responded on March 18, 2011 when the army opened fire on protesters, killing 4 people. then on March 19, 2011…the army shot at mourners at the victims’ funerals, killing another person. 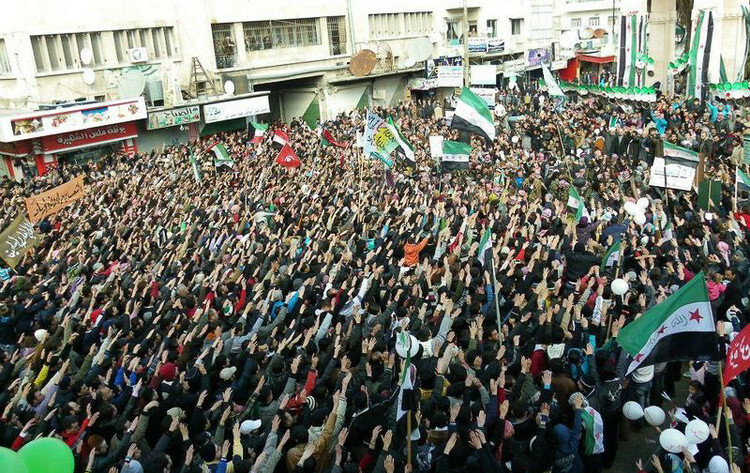 once security forces opened fire on peaceful demonstrations, people demanded that the President, Bashar al-Assad, resign. and here we are three years later. war still raging. costs $30 million a week so far just to have our ships “parked” by Syria.